Short version: 1) From the Checklists page in the Admin area, click the gear next to the template you want to back up or share. 2) Select “Download template”. 3) Specify where you’d like to save the downloaded file then click “Save”. 4) Store the downloaded file or email it to others as an attachment from your computer. Admins can download checklist templates as CSV spreadsheets for offline sharing or collaboration with managers, brokers and other admins. 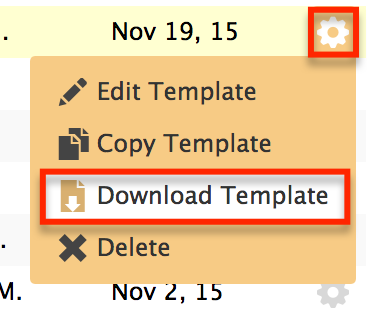 For the template you’d like to download, click the gear then "Download Template". Specify where you’d like to save the downloaded file on your computer, then click [Save]. 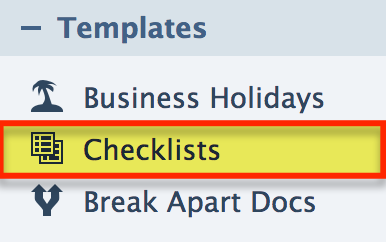 The selected checklist template will be downloaded and saved in the location you specified on your computer.